Let us create the most precious photographs in your life for you and your child. Let us celebrate the irreplaceable early days. 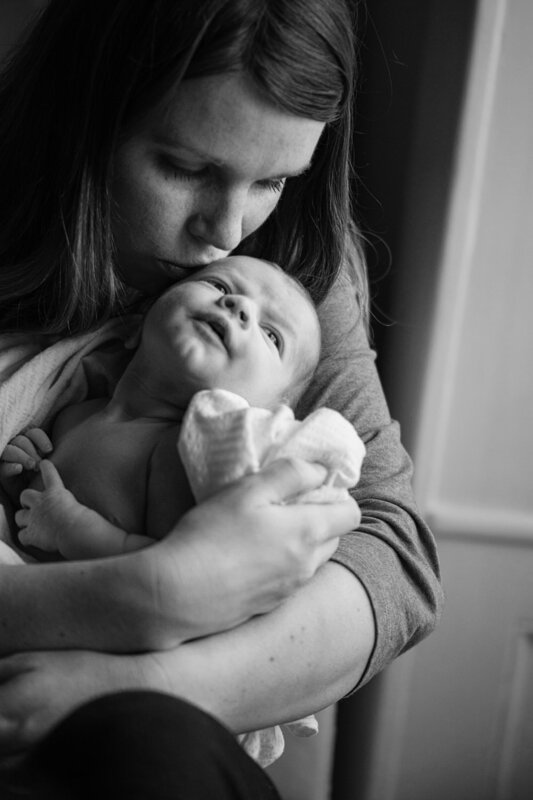 Remember them forever with simple, stunning newborn photography. They will pass in a flash: before you know it, they’ll be smiling, sitting up and taking their first wobbly steps. My newborn photography records these precious early moments in a way that’s unique to your family. I love to capture the powerful emotions and bonds that fill the room. My newborn portraits are shot in a natural style: the focus is on you as a family rather than props or elaborate costumes. The images you will get are timeless, they won’t date as fashions change and your children will love them throughout their lives. On the day of your photo session, I will arrive at your house at the time that suites your routine best. The mood will be relaxed and entirely baby-led, capturing their beauty in between feeds and changes. Naps are a wonderful opportunity to get some gorgeous sleepy shots. It is always lovely to include older siblings in your newborn pictures. The laid-back atmosphere means we will get some beautiful pictures of all your children, separately and together. I will help them to really enjoy the shoot, even if they are feeling a little uncertain about their new brother or sister. The most magical images are captured during their first fortnight, so I recommend getting a date in the diary before they’re born if possible. Otherwise the first few weeks go by in a blur of nappies and feeds and the moment is gone. As we all know, babies don’t always appear on time so I’m flexible with changing the date if they decide to say hello much earlier or later. If you prefer not to book in before they arrive, do please get in touch and I’ll always do my very best to fit in newborn shoots at short notice. I am now booking newborn photo sessions for those little guys who are born in December, January, February and who are going to be born at the begin of March 2019. The session will take place at your home. The photo session fee is 250 Euro. neither digital nor printed. The session fee is due at the moment of booking. The photo products start at 350 Euro (instead of 550 Euro)! More information is available upon request!